"realworld - TIG has skills and technology in area that are often left in the "too hard" basked by many suppliers." "Mercury Award winners impress clients"
"Asset Tracking A Breeze For NSW Agriculture"
Automatic Data Capture Forum (ADCA) Australian website (2002). 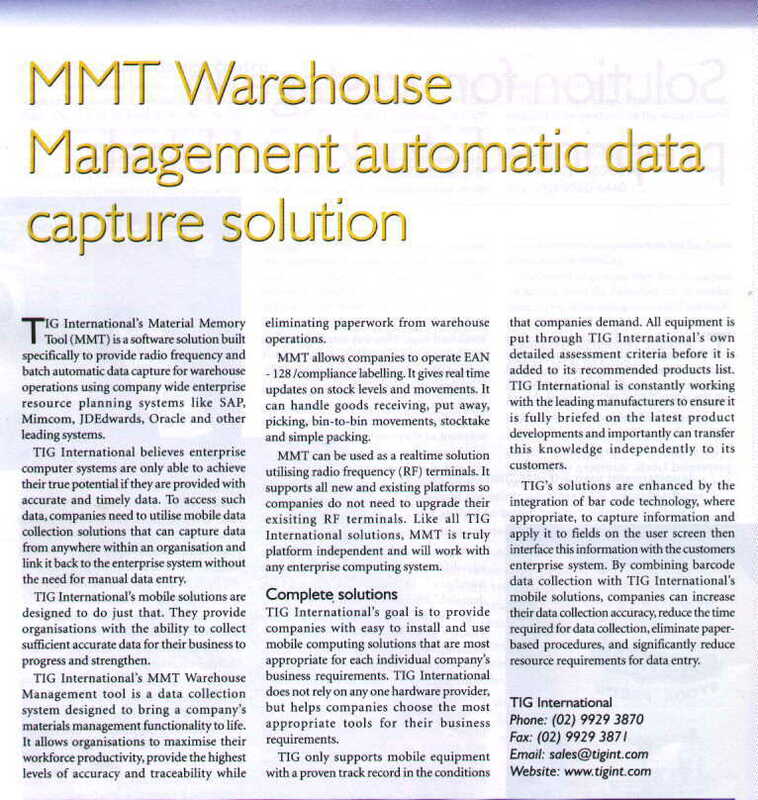 "Asset Tracking Made Easy For University of NSW with TIG System"
"Enhanced ODBC Data Warehouse Interface for MMT"
"Integrated SAP R3 And RF Solution Easy For Novartis Seeds"
"Plant Maintenance In The Palm Of Your Hand"
"Retail Enabled Warehouse Management Systems"
MHD Supply Chain Solutions – March/April 2001. 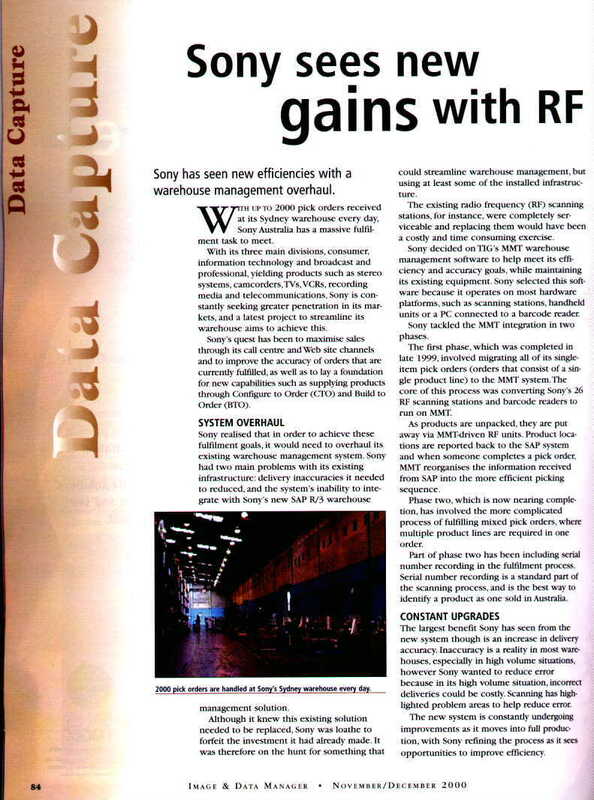 Data Capture Solutions – February/March 2001 Vol.2 No.3. 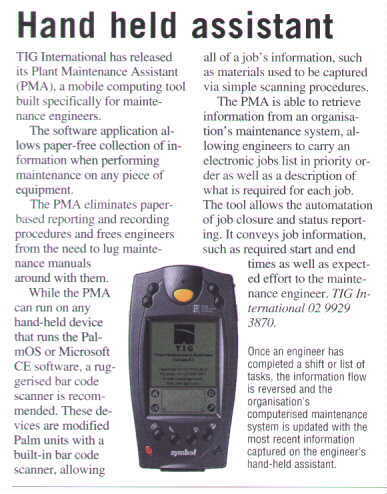 Australia Mining Monthly – February 2001. Image & Data Manager – November/December 2000. 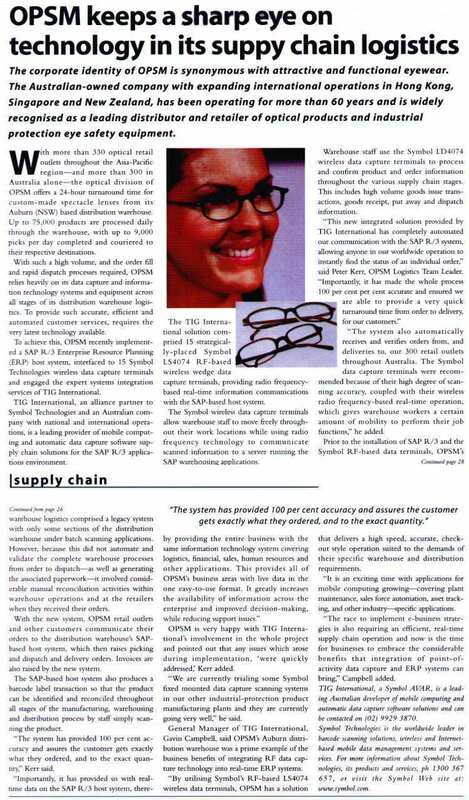 MHD Supply Chain Solutions – September/October 2000. 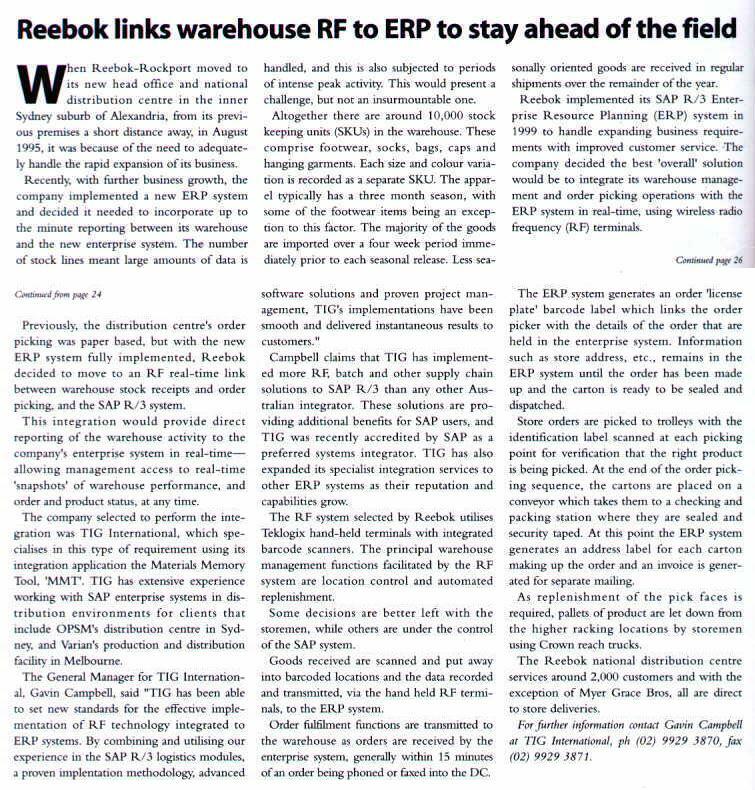 MHD Supply Chain Solutions - May/June 2000.